It’s hard to limit it to just ten, for that matter. I know it’s a Captain Obvious kind of thing to say, but it’s just staggering how many quality clay court grinders are churned out by Argentina’s player-producing machinery. 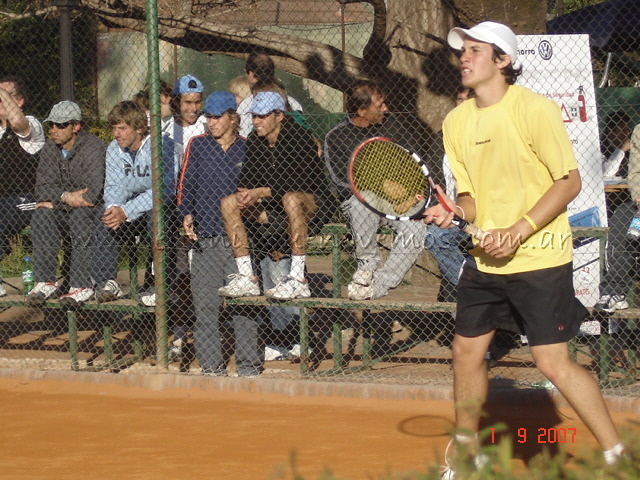 Federico Del Bonis, Facundo Bagnis, Guido Pella, Facundo Arguello, Diego Schwartzman, Marco Trungelliti, Nicolas Pastor, Agustin Velotti, Renzo Olivo, and on and on. Every single one of them under 21 years of age and heading for the Top 200 (if they’re not there already). You know what would be absolutely amazing? I’ll tell you: if there were a Tennis Australia-style, livestreamed wildcard playoff for Argentina’s nueva legion, competing in a round robin tournament (not the single elimination draw TA did this year) for a spot in the French Open. I would pay good money to see that happen. Let’s just say, for the sake of argument, the Delbo would get into the French main draw directly via ranking (it could happen) (plus we gotta make some Delbo room in my hypothetical scenario) and you threw the other 8 into a two-group round-robin tourney. Who do you think would be the eventual WC winner? Answer me that, Argiephiles! It would also be tempting to just be lazy and pick one of the highest ranked among them – Del Bonis, at #160 and Bagnis (#242) lead the way in that category – but closer inspection reveals that the three players who began the year ranked the highest among the young guns (Guido Pella being the third) (and all three lefties, by the way) arguably struggled more than anyone this year. Sure, Delbo won the Rome-2 Challenger, and was a finalist at Napoli and Rimini (Italy must be full of tailors, as it really suited him), but he just went 34/27 on the year and only picked up an additional 35 ranking spots. Certainly not the kind of breakout year I was expecting from him. Pella’s year was borderline disastrous, as he dropped over 100 places in the rankings on the heels of a 26/22 year. Of the three, Bagnis was the most successful, but that’s damning with faint praise, to be honest. 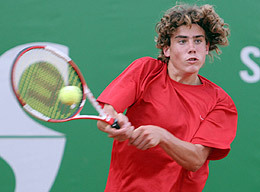 Thanks to a season-ending win at the Brazil F36 Futures, Bagnis ended his season on a high note, and his 5 straight wins to take the title pushed his 2010 W/L record to a far more decent-looking 37/29. 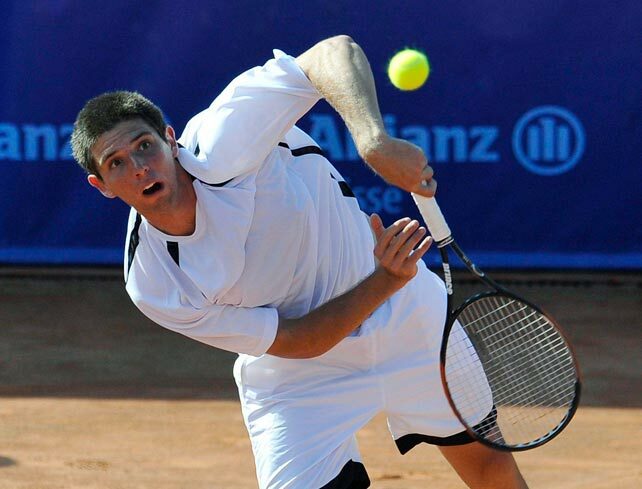 But apart from a run to the finals at the Bytom Challenger, during which he scored victories against Martin Klizan, Marius Copil and Matthias Bachinger before succumbing to Pere Riba, even Facu didn’t really do as much as I had anticipated from him. I have to say, I was kind of fascinated by Marco Trungelliti’s year; he’s really come on strong, and out of relative obscurity. The almost-21-year-old “veteran” of this crew had no junior success to speak of (his ranking high was #630), but he finished this year at a brisk 16/5 pace, which certainly caught my attention. That said, his 35/18 season only amounted to a gain of 45 spots in the rankings, up to #429 from #474. I remain unconvinced, but I’ll be keeping my eye on him for sure. So that left me with five from which to pick: Arguello, Schwartzman, Velotti, Olivo, and Pastor – all of them under 20 years old, the youngest of the young guns. Olivo, at 18 years old (and 9 months), gained the second-most ranking ground this year, racing up to #618 from a starting point of #1,125. 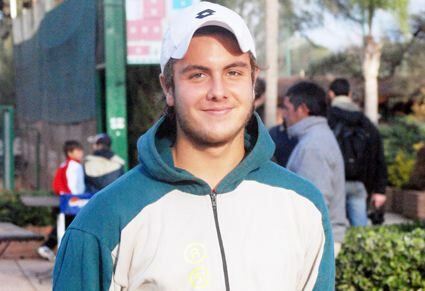 A former #8 junior (and by “former”, I mean April of this year), he won the Bolivia F4 futures in addition to his QF Boys showings at Roland Garros and Wimbledon. But he’s still a year or so off, I think, from my being able to tout him as a Player to Watch. Pastor – who’s coached by Javier Nalbandian, brother of a certain someone you might have heard of (hint: his name rhymes with “Shmavid”) – and Schwartzman have very similar resumes, both for this year and for their careers. 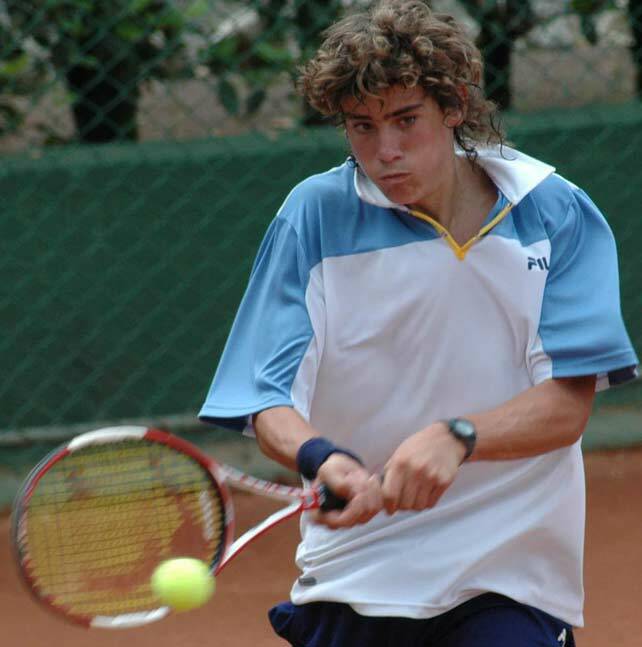 The 18 year olds largely eschewed the junior tourneys and have focused on the pros; both made the finals of three Futures events this year and gained a lot of ground in 2010. But, as with Olivo, I feel they’re just a bit too raw for me to feel comfortable putting my 2011 PTW betting chips on their names.